Join us as we celebrate Shabbat with a delicious four-course dinner. Bring your family and friends and join us in welcoming Shabbat with prayer and song. At Chabad 2112 N. Jog Rd. Please be sure to RSVP by Wednesday December 26th. Consider becoming a Shabbat Dinner Sponsor: Silver $180, Gold $360, Platinum $540. 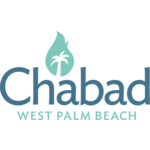 Shabbat morning services 10:00am followed by kiddush lunch. All are welcome to participate free of charge.